Paws 'n Claws Gift Certificates make the Perfect Gift! Need the perfect gift for a pet parent? Why not make your gift-giving easy and give the gift of Paws 'n Claws? Recipients can have the fun of choosing from any our many services [Lodging, Grooming & Styling, PlayCare (for approved pups only) and Boutique Items (food, toys, treats and more!)] and they can redeem them at a time that is convenient for them! Paws 'n Claws gift certificates are available in any denomination and may be used at either Paws 'n Claws location. 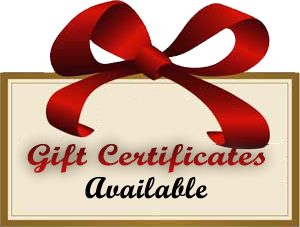 Gift certificates make the perfect solution for the hard-to-buy-for people in your life or for people who seem to have everything! Our gift certificates never expire so recipients can use them “at their pet's leisure”! Overnight or longer lodging at Paws 'n Claws Pet Resort in Girard and now in Erie too! 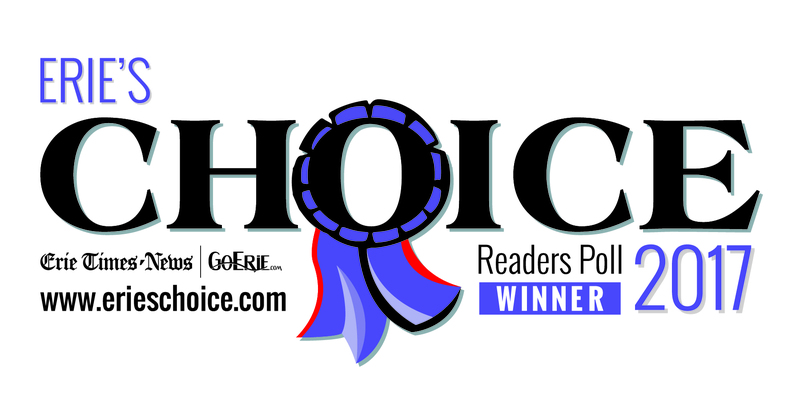 We are the winners of multiple People's Choice Awards! 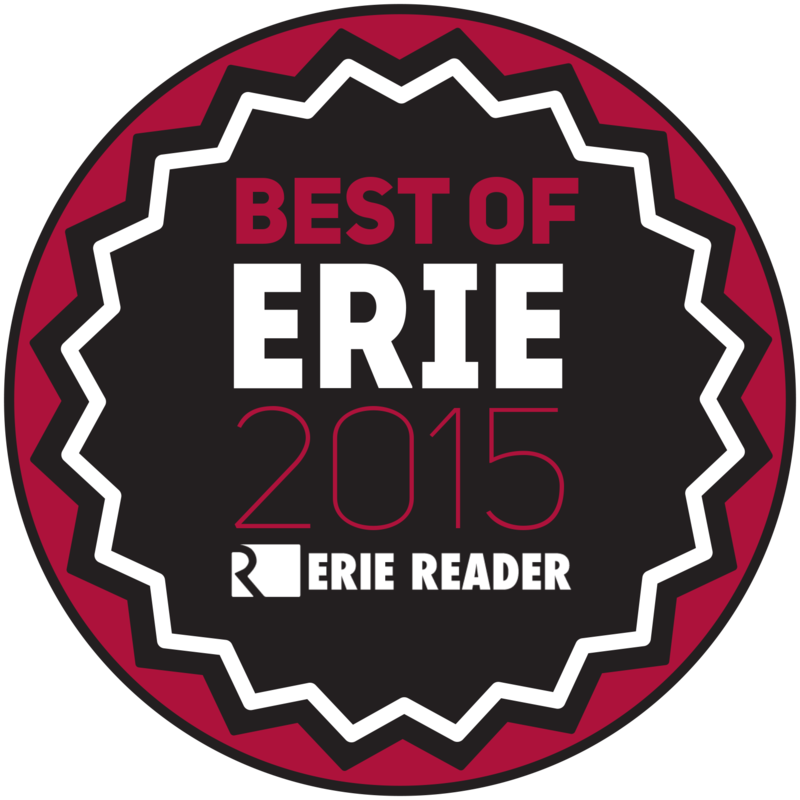 These awards are given based on votes from the Erie Community. 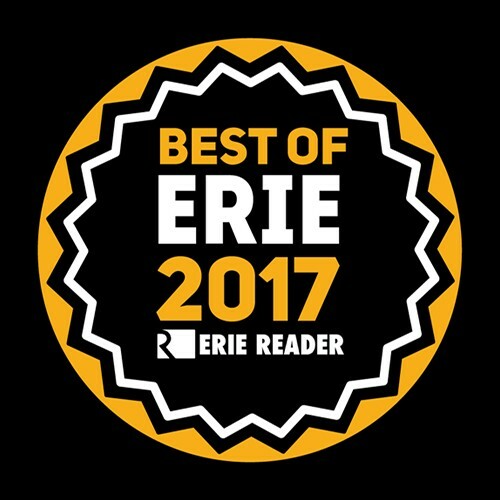 We truly appreciate the recognition that the community has given us and we are proud to have the best customers in all of Erie and Erie County! 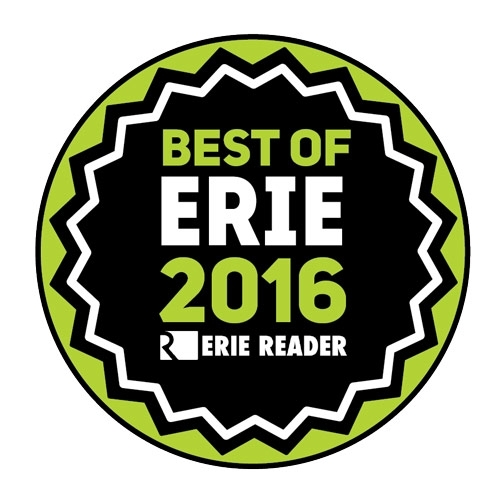 Thank you, Erie, for voting Paws 'n Claws as the Best of the Best in the Pet Grooming Category of the 2016 & 2017 Erie Times News Erie's Choice!! Paws 'n Claws PlayCare & Styling S'paw on Erie News Now - Giving You the Business! Paws 'n Claws PlayCare & Styling S'paw in Erie was excited to have Paul Wagner come in and tape a segment for Giving You the Business! Read Laurie & Joe Bizzaro's Letter to the Editor published in the Erie Times-News about their great experience with Paws'n Claws. 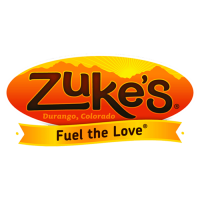 Fill out our quick customer satisfaction survey! We are always striving to become better and offer our customers the best service possible. Hearing what our customers have to say helps us in this mission. We now have a customer review form that we would love for our customers to use to send us feedback on their recent visits to Paws 'n Claws. There is even a space for suggesting products and services you would like to see at Paws 'n Claws! Help us to make your experience at Paws 'n Claws an even better one!